Variable Mortgage Rates Will Soar. Are You Ready? Getting a variable-rate mortgage is like buying oceanfront property in a hurricane zone. It’s just a matter of time before you rethink your decision. At some point, a storm surge will hit Canada’s interest-rate market. Prime rate will rocket one or two percentage points higher and many a borrower will be swearing at the person who suggested they get a variable-rate mortgage. When that happens, and no expert can tell you when it will, you’ll want to have a plan. Here is just such a plan. Canada has enjoyed 35 years of declining inflation. Mortgage rates, which are tied to inflation expectations, have tumbled 2,000 basis points in the same time frame. But economies are cyclical. The day will come when core inflation threatens to break above the Bank of Canada’s 3-per-cent upper tolerance and mortgage rates lift off. A variety of events could trigger that rate storm: fiscal overspending by Ottawa, record-high oil prices or simply too much cheap money overstimulating growth. If our bubblicious bond market sensed inflation danger, investors could be spooked into dumping bonds en masse. Panic selling, by definition, drive rates higher, and faster, than anyone expects. Once the Bank of Canada smells potential inflation, it brakes the economy by boosting the overnight rate. After this monetary policy kicks in, the inflation monster always goes back in the closet. In fact, since the Bank of Canada began inflation targeting 25 years ago, core inflation has never exceeded the Bank’s 3-per-cent upper limit for more than six months at a time. In those past bouts with inflation, interest rates jumped just more than three percentage points from their cycle lows, on average. But rates never remained at those inflated levels for more than a few years. None of this is likely to change given our crotchety old economy. Long gone are the days of timber, oil, railway and industrial booms. The OECD predicts Canada’s GDP will expand a measly 2 per cent annually, or thereabouts, for the next 44 years. It’s no coincidence that our own central bank is slashing its view of normal (it calls them “neutral”) interest rates. “We have to adapt to the new reality of lower potential growth,” warned senior deputy governor Carolyn Wilkins, implying that rates could average just three-quarters of a percentage point higher long term. These days, you can scoop a variable mortgage rate for about 1.95 per cent to 2.2 per cent. When inflation fears kick in, they’ll surge to 3 per cent to 4 per cent, maybe more. Once that happens, the worst thing you can do is panic. The second worst thing you can do is lock in late. Recall the point above about inflation spikes being temporary. 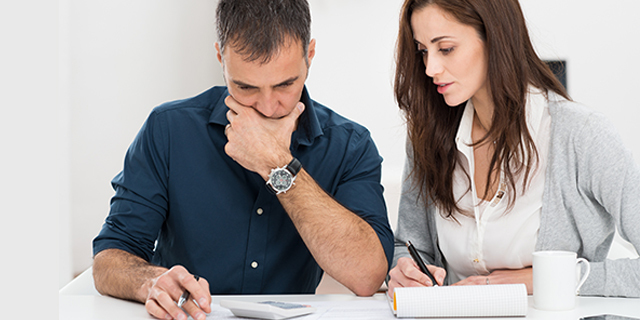 When long-term fixed rates shoot up one to two percentage points, it’s too late to go fixed. If you’re going to convert your variable to a fixed rate, you’ve got to beat the bond market to the punch. You’ve got to lock in before bond yields rise significantly. Remember that yields drive fixed mortgage rates. Both will surge ahead of Bank of Canada rate increases, and before your variable rate rises. If you’re up for renewal and rates have already shot up one to two points, that’s not the time to consider five-year fixed rates. That, more than ever, is the time to consider variable and short-term fixed rates. In fact, for any financially secure borrower reading this, it’s possible that it may never again be wise for you to lock into a mortgage over 4.5 per cent. Discounted five-year fixed and variable rates are just 11 basis points apart right now, based on the 319 mortgage providers tracked by RateSpy.com. That’s the smallest margin (spread) in recent history. If variable rates hope to beat long-term fixed rates with that tight a spread, there is little room for rate increases. It would take just a modest jump in prime rate over the next few years for variables to cost you more than a five-year fixed. Of course, timing matters a lot. The Bank of Canada could hike rates seven straight times in the last year of a five-year mortgage and you’d still save more in a variable rate. By contrast, two puny quarter-point BoC hikes in the next four years would easily give five-year fixed rates the edge. This gives you a sense of the risk/reward with today’s floating-rate mortgages. What it overlooks are factors such as early-breakage penalties, which can be much smaller with variable rates than fixed. It also discounts the odds of prime rate staying at or below today’s levels for the next five years. Interestingly, the Bank of Canada estimates a 7-per-cent chance that its key rate could sink to minus 0.5 per cent. Given all of today’s disinflationary trends – an aging population, rising debt loads and so on – the chances of mortgage rates staying at or below today’s levels in the next five years could be just as good as them staying higher. Whatever the case, rates are cyclical and they always revert to their mean. The structural economic changes above are giant magnets that should pull rates back down within a year or two of them spiking higher. That’s why strong borrowers should keep floating their rate through thick and thin. If you absolutely must lock in your variable, do it early or just get a fixed rate to begin with.